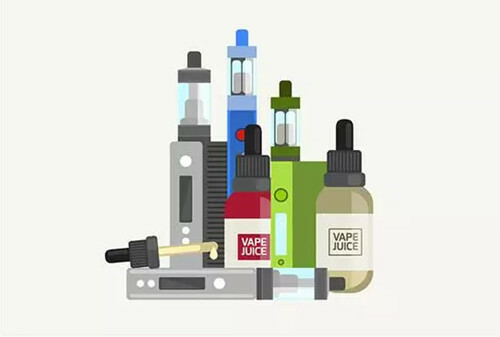 If you have ever experienced the thunderstorm in ecig market, you may find that the current market has turned back to the essence of the ecigs-- smoking cessation. 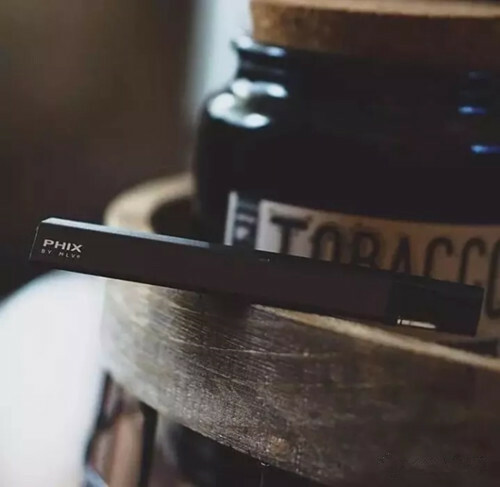 In the market of smoking cessation, pod kits with closed system start to stand out, such as JUUL, PHIX and MT. They give the smokers the best choice for ceasing smoking. 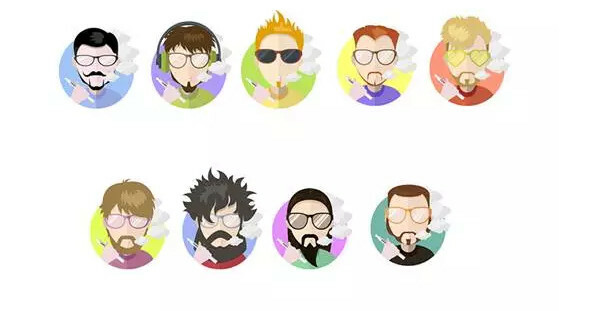 The reason why pod kit can help cease smoking is that the high nicotine content in the pod can substitute the nicotine in traditional cigarettes. However, the basis to realize this therapy is the nicotine salt! It is widely said in the ecig industry that nicotine salt is the next revolutionary item in the ecig market. Then, what is nicotine salt? What is its difference compared with the nicotine in the traditional e-liquid? Is it really helpful for ceasing smoking? Is it poisonous? Next, let’s see the summarized analysis on nicotine salt from some foreign research experts in the industry. Nicotine salt is the form how nicotine exists in the tobacco leaves. It is different from the nicotine in the traditional e-liquid. Such salt is not merely nicotine, but a compound containing both nicotine and other organic substances. It may combine with another chemical substance or other chemical substances in the tobacco leaves, but the result is the same--they form a more stable molecule. The nicotine form in traditional e-liquid is called “free alkali” nicotine. Such form of nicotine doesn’t attach to any other substance. 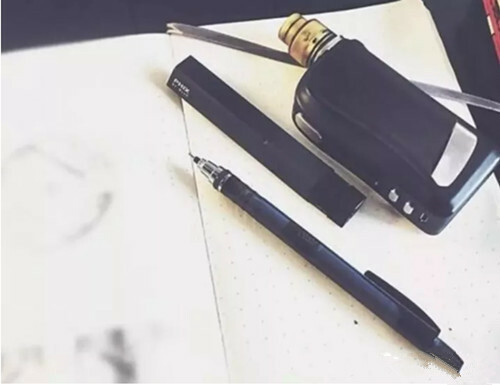 Because it is a volatile (easy to be vaporized) form of nicotine, it is generally considered that such nicotine is more suitable to be used for vaporization and other usages. In fact, tobacco industry has tried hard to add the “free alkali” nicotine content in traditional cigarettes. This is the main factor that contributes to the success of Marlboro, in that Philip Morris is the precursor of this successful method. The greatest significance of nicotine salt is that it improves the transmission efficiency of nicotine. The traditional “free alkali” nicotine doesn’t do well in transmitting the nicotine from ecig devices to blood. Therefore, it is difficult for vapers to feel as satisfied as smoking. 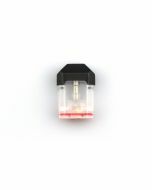 Moreover, the actual effect of the super high nicotine content is only irritating throat excessively and only a small part of nicotine goes into the blood where the real need is. The fact that e-liquid with high nicotine content irritates the throat excessively also weaken the user experience of ecigs. 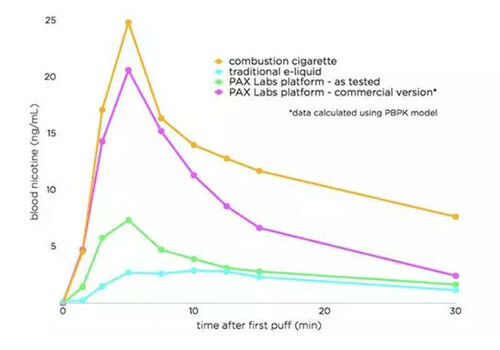 Nicotine salt has much stronger penetrating power than “free alkali” nicotine, increasing the nicotine volume that can penetrate into blood within the same time. Therefore, it can provide a similar scheme as nicotine in traditional cigarettes being absorbed into blood. Moreover, it will not irritate the throat too much. 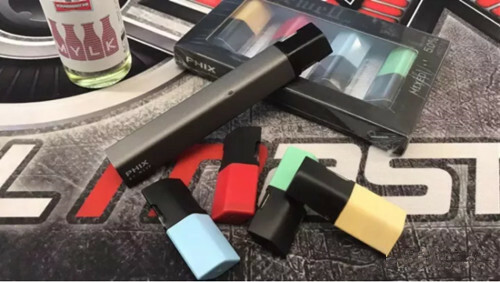 This is why pod kits like Juul, Phix and MT are largely accepted by lots of people. What a role does nicotine salt play? Why should we try e-liquid with nicotine salt but not keep using traditional e-liquid with “free alkali” nicotine? What is the obvious significance does it have for us? ▲ You can inhale more nicotine in a shorter time. 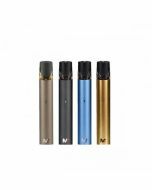 Generally speaking, compared with traditional e-liquid, it can better satisfy you with easier nicotine absorption thus reach the goal of cease smoking. ▲You can consume less e-liquid. If you are not purely chasing for large vapor but only vaping for satisfying your craving for tobacco, nicotine salt e-liquid will satisfy you with your estimated nicotine intake but with less consumption. 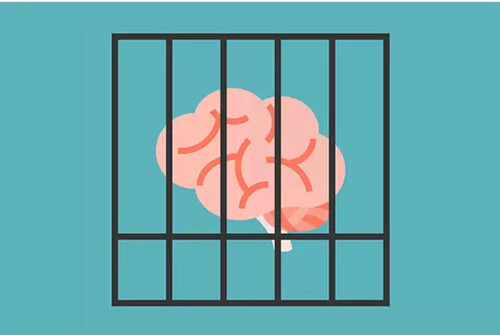 ▲ Nicotine salt has a much longer shelf life and is much steadier than “free alkali ” nicotine, which means the nicotine salt liquid can be stored for a much longer time before it degrades. ▲ You don’t need a big-wattage device. You can vape in nicotine more effectively with nicotine salt e-liquid. Therefore, you don’t need a big-wattage box mod. Even a very simple device can satisfy your need for nicotine. How to use nicotine salt? Nicotine salt e-liquid is mainly used for low-wattage device. Phix and MT are ideal examples for using together with nicotine salt e-liquid. It is exquisite and portable with low-wattage output. It looks just like an elaborate stimulated cigarette. 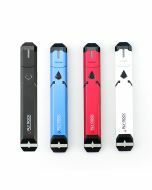 Pod-styled device is the most ideal for nicotine salt. 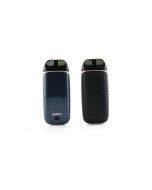 A basic pod kit can provide enough wattage for you to gain satisfying vape experience from nicotine salt e-liquid. For new ecig users, the biggest advantage for them is that they inhale nicotine more effectively from much simpler devices. If you have a high-wattage device, you can also inhale nicotine from e-liquid with low nicotine salt. It’s unknown yet whether it performs obviously better than traditional e-liquid with the same nicotine, because the biggest advantage of nicotine is that you can inhale in more nicotine more comfortably. This is a problem that many people care about. In fact, nicotine salt is as safe as “free alkali ” nicotine. Even though it exists as the form of salt, it affects human body just as nicotine does. Therefore, they are the same in terms of risk. However, there is an important factor should be taken into consideration. In order to help nicotine salt to function in e-liquid, benzoid acid is added into the compound. It is not very poisonous to human being, but most of the evidence is about intake but not inhaling. After doing research with animals, no risk is found. But the fact is that, we are not sure what is its long term effect to human being. Even though the risk of inhaling in benzoid acid is still unknown, it goes without saying that it is much safer to inhale the vaporized e-liquid with nicotine salt than smoking. Besides, when you vape with nicotine salt e-liquid, you will inhale less vapor, so it may be much safer than traditional e-liquid. Will nicotine salt result in dependence? Nicotine salt will indeed result in dependence. The other components in traditional ecig truly increase the dependence on tobacco, but nicotine itself is still the addictive component in smoking. In brief, nicotine salt e-liquid and “free alkali” nicotine are both addictive. Moreover, if it results in abrupt increase of nicotine level in blood, it is actually more addictive than traditional e-liquid. But if you choose nicotine salt for ceasing smoking, it will help you to get rid of the other dangers of cigarettes. What kind of people does nicotine salt suit? Nicotine salt e-liquid may not suit for every vaper, but it is a very ideal choice for some people. For example, if you like huge vapor, you’d better keep using the standard e-liquid. However, for people who has just transferred from smoking to vaping and find that e-liquid can not satisfy their nicotine intake, or any people who want to start vaping quickly, nicotine salt will be the most effective aid for ceasing smoking. 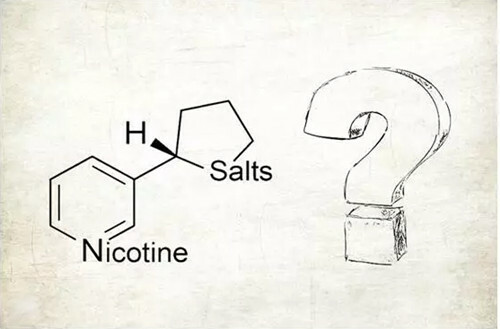 Maybe nicotine salt technology is not largely known and will need more acknowledgement, but I believe nicotine salt will shine in ecig industry soon, or in the near future!